The Esso Camden catches fire with it collides with the William S. Halsted in the Chesapeake Bay. Courtesy of Robert Ebey. 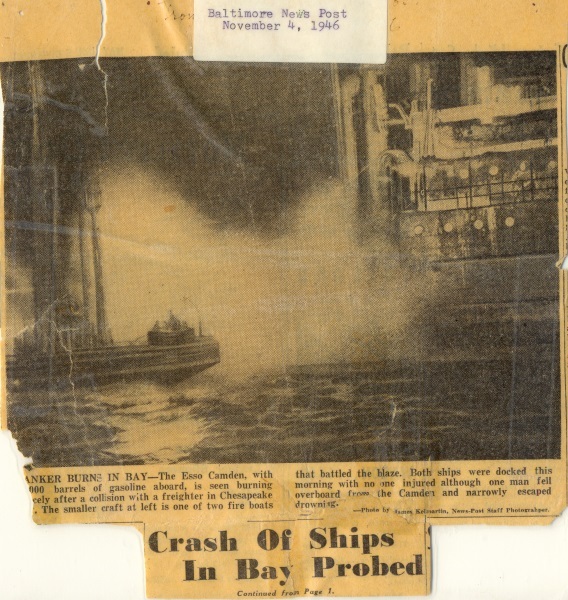 The Esso Camden catches fire with it collides with the William S. Halsted in the Chesapeake Bay.